As you probably know by now, here on Ten Mania we are a bunch of people who love to travel and share with you our most ingenious (and sometimes crazy) ideas when it comes to packing our bags and see the world. When choosing to go on a trip, people usually decide first on a country, region or place to go visit and then they start looking for accommodation, booking opportunities and prices. But since we have our own way to deal with such things and being quite experienced in spotting the most unique opportunities, we will start from bottom to top: first find a hotel that is unique, weird or at least out – of – the – box in concept and design, and then decide upon the country or region where it is set. Why? Because no matter how beautiful, luxurious and special a touristic place may be, most hotels look almost the same. And since we already mentioned some incredibly strange hotels to spend a night in among the many things we want to do once in a lifetime, we decided to expand our list of strange destinations and find a hotel (or ten, for that matter) where we would really like to go, just to change the scenery and experience the novelty and the weird. For those of you who already felt the travel bug kicking in and managed to decide, plan and book your holidays trip, an excellent starting point in finding the best accommodation deals is the recent TripAdvisor’s Top 25 Hotels in the World list. For the others who share our ambition of learning more about some of the strangest destinations to stay in, visit, experience and inspire for a vacation, let’s go together to find a hotel that really challenges our imagination and desire to go see it. Why only travel by airplane when you can sleep in a hotel – airplane? Welcome to Costa Verde, a touristic complex in Quepos, Costa Rica – one of the most beautiful places to spend a holiday in. 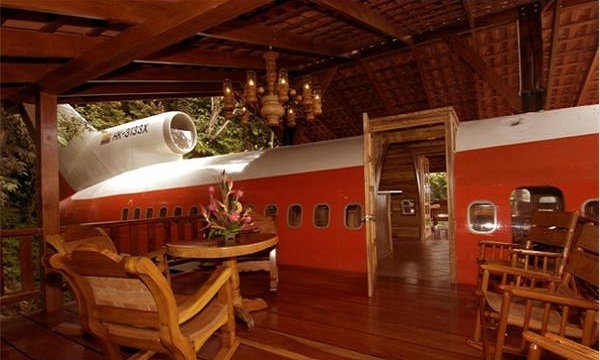 Costa Verde has, of course, a lot of accommodation opportunities and so many things to offer, your mind can get blown, but the 727 Fuselage Home is unique in the fact that you can spend the night in a completely refurbished 1965 vintage Boeing 727. The airplane hotel consists of two bedrooms (that are pretty much suites, if you ask us) perfect for romantic getaways, honey moon trips or a holiday to remember and the prices match the luxury. They are high, indeed, but as we said, once in a lifetime… We wanted to find a hotel that is out of the box, right? Well this one looks more like the luxurious alternative to Lost series’ island. HERE you can find a list of Costa Verde rates, booking details, season offers and vacation opportunities. Apparently, we love traveling to Germany and there are plenty of reasons to spend the holidays there or to book a vacation no matter what season and what occasion. It is by far one of the most interesting countries in Europe and if you ask us, we just added another strange destination in our quest to find a hotel that beats all other hotels concept-wise. The V8 Hotel in Stuttgart revolves around cars and we are talking Germany here, people, everything is about cars there and some of the best automobiles in the world for that matter. Now, to make things even more interesting, the people at V8 Hotel will offer you the best entertainment opportunities to have fun while your there. 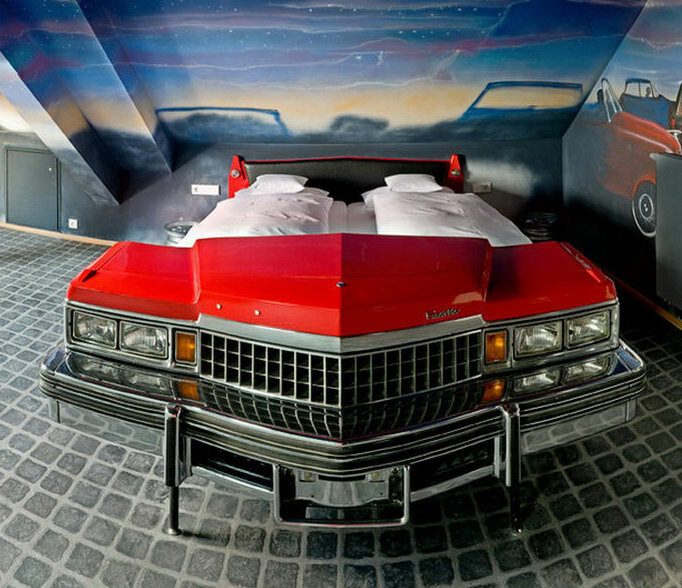 From this point of view, we are pretty much convinced that this hotel, with its vintage cars beds and its luxurious, weird and definitely unique aura will turn into our travel destination pretty soon. HERE are the rates, booking options and reservation contact details. We talked about the Salar de Uyuni Desert not a long time ago, as it is one of those places we have a very soft spot for. But even if we didn’t, this hotel would have convinced us to book a trip to Bolivia, only to hear the hotel staff politely asking us not to lick the walls. 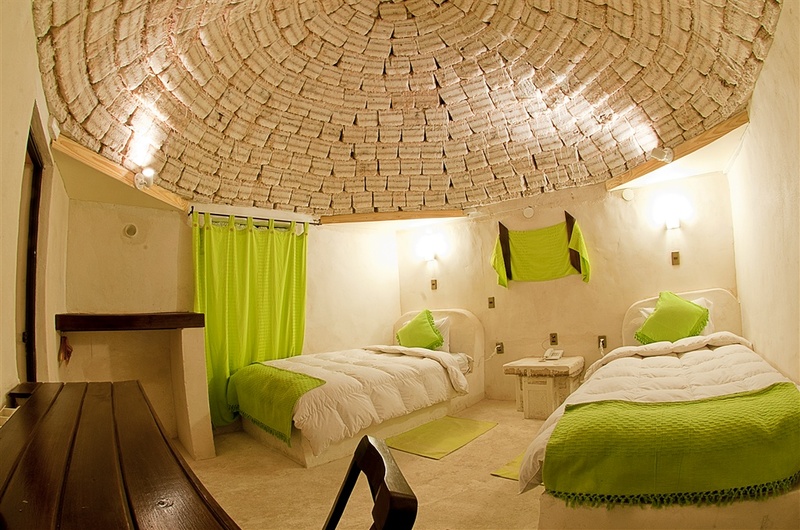 The first hotel in the world built out of salt, Palacio del Sal offers its visitors 16 rooms all with private bath, solarium, and all the trimmings for people to enjoy a unique experience. You know we mentioned a few times before the Ice Hotels around the world, the exquisite, strange, beautiful and cuteness overloading Giraffe Manor in Nairobi, but this salt hotel winks at us not only because it is set in one of the most breathtaking places in the world, but because it still keeps the headlines of travel and leisure magazines all over the world when they list the tops of the most unusual hotels to sleep in at least for a night. And if the rumors are true, that they actually warn you against licking the walls, there’s no reason left to not go. HERE are the information regarding booking opportunities in case you’re interested in visiting this strange hotel. Why go to Africa when you can play safari in Europe? 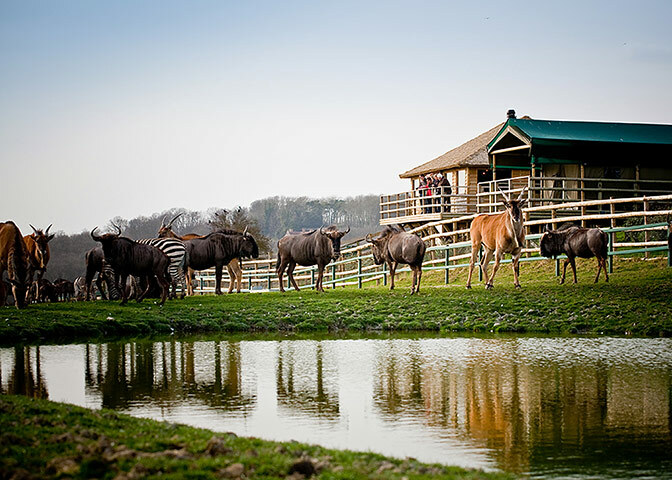 If we wanted to find a hotel to offer us an “out of Africa” experience for a night, Livingstone Lodge at Port Lympne Wild Animal Park in U.K. is one of the strangest destinations in the world when it comes to experiencing the weird and the new. Apart from having one of the most exciting experiences in your lifetime, you can also enjoy a five-course African-style dinner and a lot of other fun and wild activities. This is actually a normal hotel set nearby one of the most interesting and exciting amusement parks in Italy and the world: Gardaland, taking its name from Laco di Garda, one of Italy’s most famous lakes. So a trip to Italy during the holidays is, in and out of itself, a great idea. But! Faithful to our mission to find a hotel that is like no other regular hotel and plan our trip only to stay there, we picked this one not for its luxurious offers, not because it has everything every person would love to experience while traveling and not because it is near a place of magic and excitement, as Gardaland is, but for some of its special rooms. Four, to be exact. 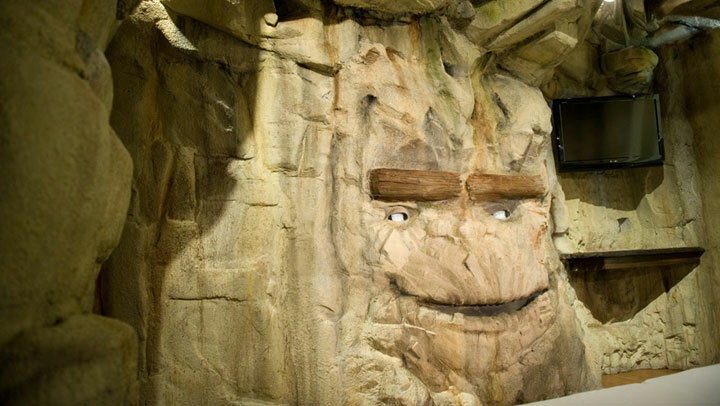 So basically, the walls speak to you, the birds sing around you, nature seems to grow everywhere around you and if this didn’t appeal to the child inside you yet, the rooms also have names like Aki’s Grotto or the Corsair Galleon. You may be interested in the other 233 rooms in this hotel, but we want the four ones only for ourselves! HERE is the place where you can start your inquiries regarding prices, reservations and available special offers. What can we say? 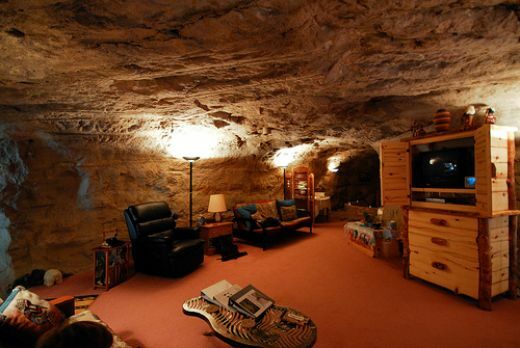 This must definitely be a once in a lifetime experience and let’s be honest, having a plush carpet, queen sized hide-a-bed sofa, full sized futon, 2 recliners, TV/DVD and VCR player in a living room cave and a waterfall shower and Jacuzzi makes us all want to book the room before anyone else! They say not many heavy luggage, so watch out! HERE is the reservation page with everything you need to enter the cave! And never want to leave, as others have said. But, if we get there, this Taj Palace would be one of those reasons, as we looked around the world to find a hotel to sparkle our imagination and boy, was this one standing out or what? Why is it on the list of strange destinations, you may ask? Listen, we are not always the freaks that share breakfast with giraffes, like to picture rhinos while strolling in the park or crawl in caves just to get our kicks when traveling. 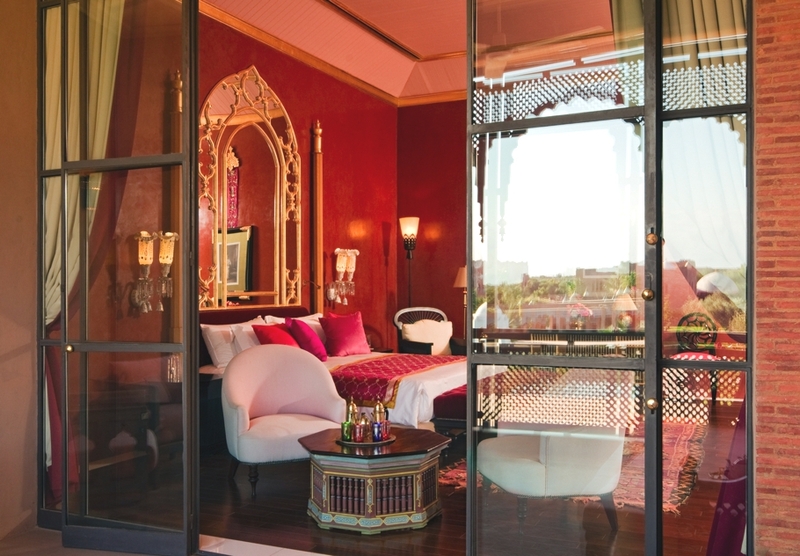 This hotel may be falling in your “usual, hyper-expensive luxurious accommodation” category, but this is more than a hotel, this is a masterpiece of art, gathering Moorish, Indian and Venetian architecture. And let’s face it, how often can you find an Indian cultural icon turned into a place where you can actually live for a few days? We’ll tell you one more thing: 161 lavish guest rooms and suites. OK, two things: 3,800m2 Spa with 14 treatment rooms and two extensive hammams in line with the Moroccan tradition. HERE is the Reservation page if you want to prepare for an unforgettable trip and staying. Baaaaack to being freaks with no leash on a quest to find a hotel that is so beautiful, so unique and so strange, it makes the perfect holidays destination! And we were never closer to home than this, either! Want to know more? Here, here! To get inside, guests dive 21 feet under the sea and enter through the floor of the apartment. Compressed air keeps the water from rising up and flooding the rooms. A 3-hour scuba course is required for uncertified divers. The guys from Popular Mechanics know what they are talking about! So basically, to get a room in this underwater hotel, we have to scuba dive! What can be more perfect than this? Oh, not to mention that you can snorkle and take a night dive! Unfortunately, they only have two rooms, so reservations are a killer, but fret not, as they seem to be open all year. To add to the fun of this experience, you should know that this place has a historical importance that can’t be denied, as it was the first underwater hotel in the world and was turned into such strange destination from a retired research laboratory. You may find other underwater hotels in Dubai and South Korea but this is the first, the last and the everything! HERE is the rates and reservations page if you think getting there before we do! Fine, we admit it, we don’t like cold weather very much, although some of us would really face the challenge of spending a night or two at the edge of the world (the one with the Polar Circle attached to it) just to see the Aurora Borealis, but for this hotel right here, we’re actually willing to pack our bags (with all the sweaters we can find) and book a room in the Tree Hotel or the Mirror Hotel, as it is often called. 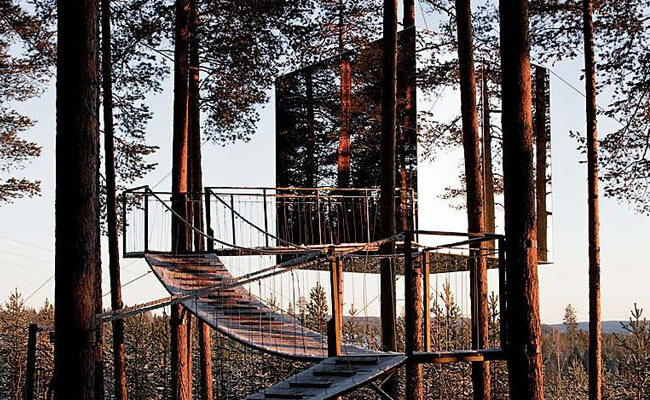 So in other words, Marmara Antalys, the world’s first revolving hotel in the world, has nothing on the Mirrorcube. It doesn’t revolve, but seriously, as at some point in our lives we all wanted a tree house, this is by far the best tree house ever! And if the Northern Lights didn’t represent a strange destination for a slight… different vacation, let’s just say that this hotel not only feeds our need for the weird, but it can virtually hide us in the soul of nature. Far from the madding crowd? That is an understatement, really. HERE is where you can start looking and booking for a lifetime experience in Sweden. It’s hard to pronounce this name in English, but repeat after us: sleep in a wine cask! So, how many times did you get to drink a glass directly from a wine cask? Well, now imagine that you can actually live in one! They say the “rooms” still keep the wine’s scent and if somebody was worried about the breathable air that tends to lack from very confined spaces, don’t give it too much thought, you will be able to have all the comfort you need, unless you suffer from claustrophobia, as the casks, although with a capacity of 14.500 liters, they are quite tight. But it’s worth it, trust us! The Wine Casks Room Hotel (as we can’t really spell its name) is not new on the lists and tops of some of the strangest destinations ever. L.A. Times mentioned it among some of the most interesting offbeat places in the world and for a good reason. 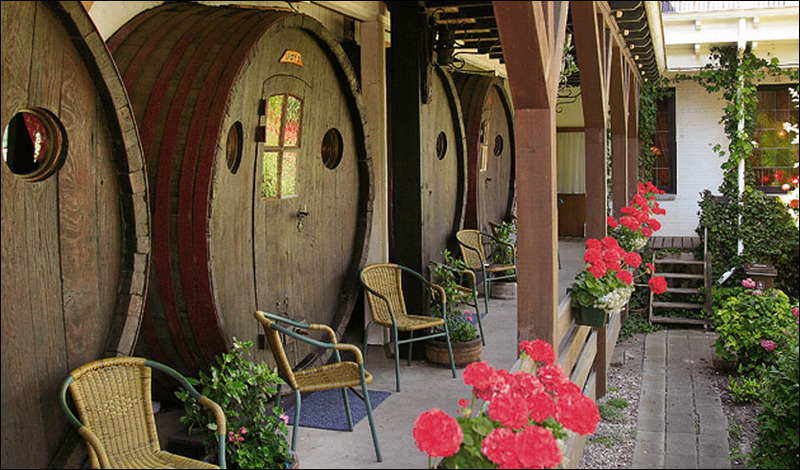 We have to admit, we actually had to choose between this and the Hobbit Motel in New Zeeland but this one took the cake, as the Hobbit Motel, no less spectacular, doesn’t allow you to smell the walls and catch the old wine’s bouquet. HERE is the list with the prices, offers and booking details. So did we find a hotel for you to like? Do you know other strange destinations around the world that could convince us to leave everything behind and go check them out? Did you ever spend a night in such weird hotel? How was it?